If I were to be an official-ish, published writer, I would be a nonfiction writer. I would hope to be the kind of writer who writes a book like this. Zakaria’s book illustrates a private, painful family story in parallel to the story of Pakistan as experienced by the swollen, violent, disturbed, distorted city that is Karachi. This is also the story of how Zakaria’s paternal aunt’s husband ended up taking a second wife. This is not an Orientalist horrifying tale of how Islam allows polygamy and how it is terrible. 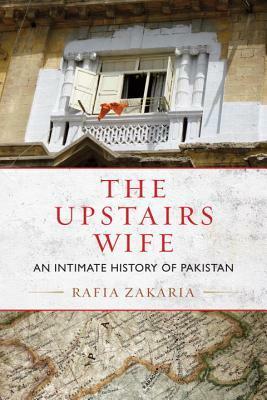 It is an examination of the social realities of arranged marriages, women’s roles in society, love, and the tightrope a middle-class Pakistani family must walk to maintain its respectability. It is also the story of human nature, how easy it is to hate for the sake of hating, and how the most negative sentiments can become lifelong companions. It is the story of how vulnerable a woman is when her sole role is to serve her husband, when her life is built around him. This is not just Aunt Amina’s story: it is the story of millions of women, married and unmarried, whose worth is measured by their marital status, whether they are mothers, whether they work or are taught to have aspirations of their own. Aunt Amina is the chronically bereaved family member you will desperately want to avoid, to avoid all that negative energy, while fully understanding that she is the way she is because that is all she knows, and that is her reality. On a different note: I kept wondering, as I read the book, what or who emboldened Zakaria to write so many details about her aunt’s life. No one would want their life put on display this way. In the Western context of publishing and the accountability of telling stories, “consent” wouldn’t come close to describing the kind of license the subject of a story would have to provide. Nothing is more powerful than a private, true story, but shouldering the responsibility of sharing this kind of a narrative has both serious legal and (I feel) spiritual implications. Allah knows the author’s intentions best, and is the judge in all matters. Guard your mind. Yes, it’s cool to live in the dazzling array of electronics, but while it’s convenient that you can instantly find out how much the Empire State Building weighs that doesn’t mean you always should. What could be more purely Islamic than the notion of guarding your mind? How wedding planning can become nightmarish if I overdose my mind with Pinterest. More on this later.